Forums » General Help and Questions » how to set the min nights and max guests? how to set the min nights and max guests? I wonder how I can set the minimum nights to 7 and max guests to 8. 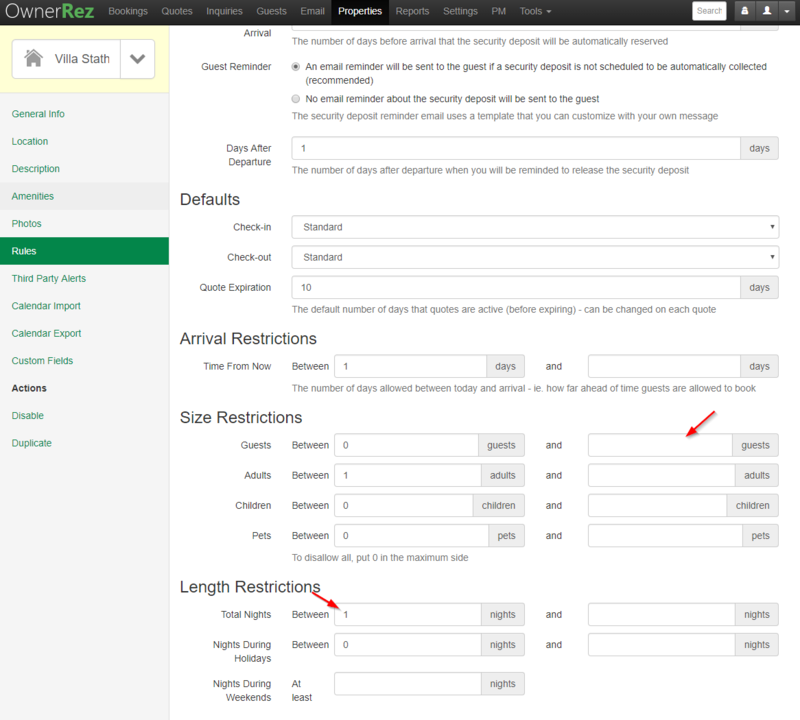 To set min nights and max guests, go to the Rules section of each property and look near the bottom of that area.